Life-size stuffed dog. 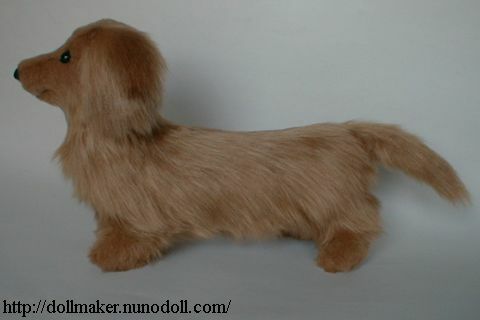 Long-haired Miniature Dachshund. 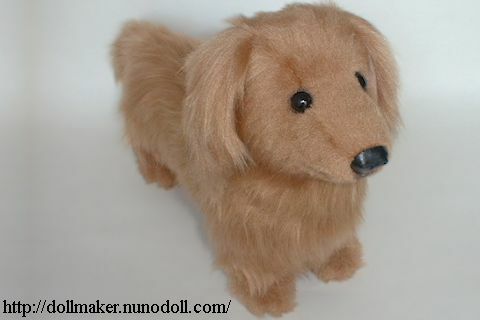 You can make one by your hand. Height 17cm (toe to shoulder), 28cm (toe to crown). Length (breast to hips) 34cm. Breast 37cm. Weight 400 grams. Thin cloth (for inside ears). 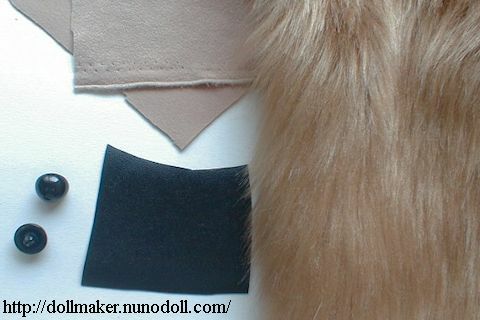 Imitation leather or felt cloth (for nose). Plastic or glass eyes. 1.2 - 1.6 centimeters. Thick thread (for mouth and toe). Print Pattern out on A4 paper. The margin of paper should be small. Each pattern is displayed in another window. The window is always the same. 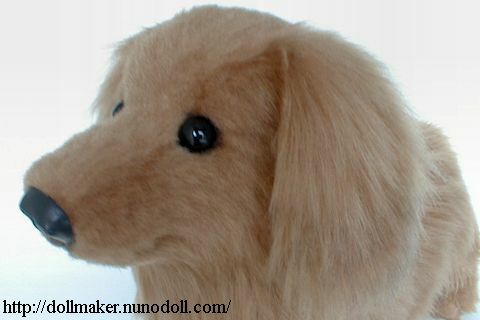 First pattern Forebody, nose and ear. Second pattern Hind body and tail. Third pattern Leg and crest. If you use ready-made nose, this pattern may be better.